We have monitored the organization of DNA topoisomerase II (Topo II) in relation to chromatin disaggregation during mitogen stimulation of lymphocytes and to the mitotic chromosome condensation cycle by immunofluorescence microscopy with isozyme-specific antibodies. Labelling for both Topo IIα and Topo IIβ was diffusely nucleoplasmic and non-nucleolar in resting lymphocytes and the pattern changed little during stimulation. Topo IIα labelling intensity increased in parallel with the extent of cell stimulation, but a fraction of fully stimulated cells was labelled very brightly. Topo IIβ labelling intensity was also greater in stimulated cells, but all partially and fully stimulated cells were labelled at the same, higher, intensity. In addition, anti-Topo IIβ detected a few small spots within nucleoli of stimulated cells that coincided with regions containing fibrillarin. In lymphocytes and HeLa, chromosome association of Topo IIα began in prophase and lasted throughout mitosis. In contrast, Topo IIβ stayed nucleoplasmic in prophase, was diffusely cytoplasmic during mitosis, and was first detected post-mitotically in nuclel with decondensing chromosomes and a reformed nuclear envelope. 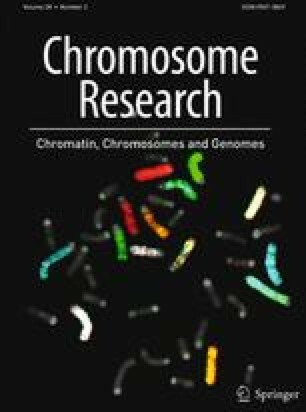 The results are consistent with a role for Topo IIα, but not for Topo IIβ, in mitotic chromosome condensation, and indicate that the isotypes may play independent roles in the reorganization of chromatin structure during lymphocyte mitogenic activation.